Purple Cat Ltd specialise in touch screens and interactive displays for all types of requirements including education, point of sale, information kiosks, meeting and training rooms etc. 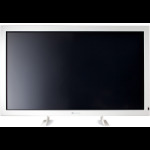 As we can supply a wide range of sizes from all major manufacturers, you are sure to find a touch screen that suits your needs. Use the filters on the left to narrow down the list of interactive displays matching your requirements.